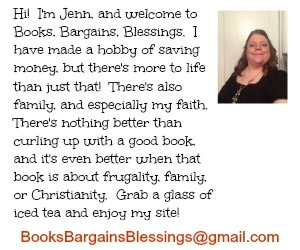 Books, Bargains, Blessings: I'm tired of saying my mother died. I'm tired of saying my mother died. I took RCIA this past year, and had every intention of joining the Church afterwards. As some of you may remember, Feb 18, I had to leave RCIA class because I got the call asking if my mother was a DNR (do not resuscitate), she passed away before RCIA was finished that evening (I left, of course.) I didn't feel quite confident I was ready emotionally to join the Church (theology was no problem), so I asked my priest if I could join in a few months. He said that he would need permission from the Bishop, but that yes, I could. I specifically asked if I had to go through RCIA again (I completed the class although I didn't join). I was told that once through RCIA was all I needed. Now we have another priest. I was ready to join the church a couple months ago, but he is telling me I have to go through RCIA again. I'm trying to convince the powers that be the reason I didn't join was based on circumstances and not theology. I'm so tired of saying "My mother died" or "I was at RCIA class when my mother passed away"
I see the Eucharist at Mass each week. I can't receive. This upsets me, and to think it could be Easter before I could receive just seems so far away. I've been through so much this year, I've had so many losses, and the one thing I'm wanting is to receive the Eucharist. I am hopeful that something can be done, but I'm also tired of talking about the loss that consumed my mind around Easter Vigil.